Luxuriously detailed with nailhead trimmed wings and diamond tufting, the Stella bedhead is perfect for the home that loves luxury. 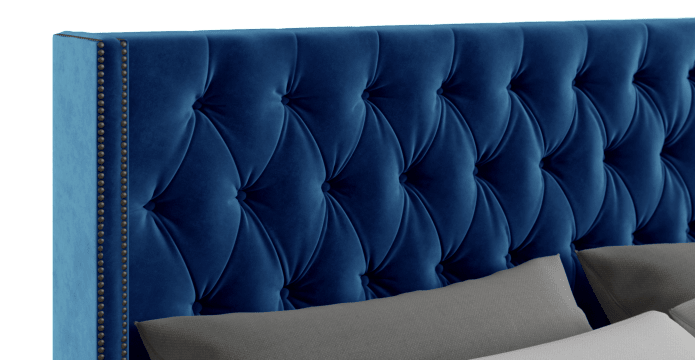 Beautifully upholstered wings gently embrace the bed end and pillows, creating a sophisticated look that can be styled traditionally or classically modern. 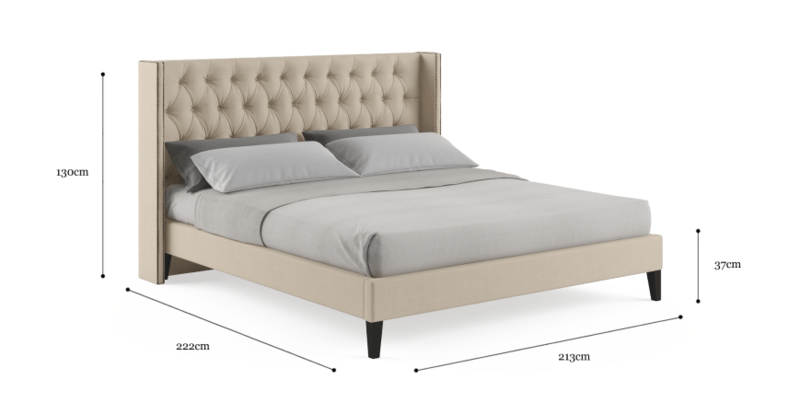 The Stella slim bed frame is available in a range of colours, allowing you to tailor your bed to fit your style. The slim base is classic and elegant, featuring a tapered leg in stained birch. See the full Stella collection, including the tall bedhead, here. Upholstered bed heads add another layer of comfort in the bedroom. The supportive cushioning creates a perfect spot to rest your head for late night reading or those lazy Sunday mornings in bed. And it's gentle on your wall finishes. 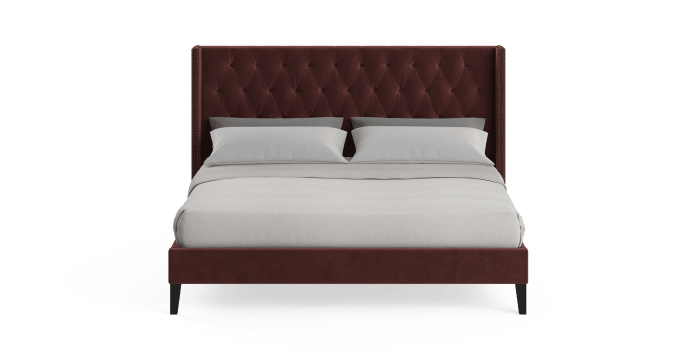 We work with makers who have spent years perfecting the art of building beds. 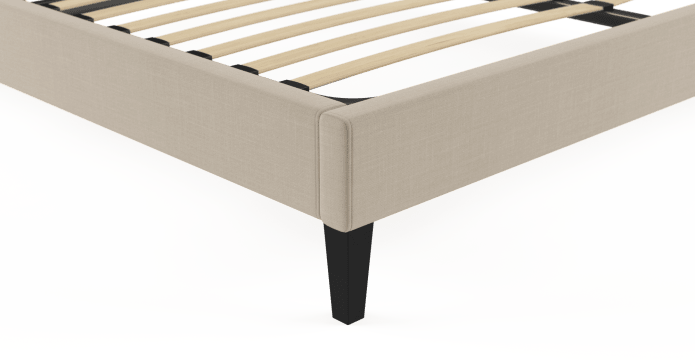 Using quality materials, such as solid wood and premium foam, and featuring adjustable stabilising feet, our beds are designed to last the distance. Today I received my Stella King bed frame and couldn't be happier. From great customer service to an easy delivery process. The material exceeded my expectation (cloud grey) great value for money. I absolutely LOVE it!! I highly recommend Brosa and will definitely shop here again. 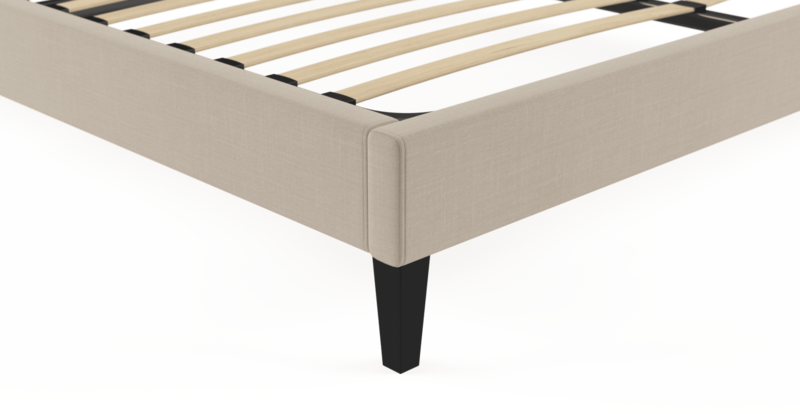 See, touch and feel our fabrics used on our Stella King Slim Bed Frame. For Free! Simply select up to 3 fabrics and add them to your cart. Delivery is on us.